Etihad Modern Art Gallery can provide unique solid bronze sculptures that your business can gift to your most valued clients. The sculptures have an Emirati theme that represent the cultural and historical traditions of the nation and are therefore ideal for business partners based in or trading with the United Arab Emirates. The elegant sculptures are created exclusively for Etihad Modern Art Gallery by a European artist, Svilen Petrov. All the statues are professionally cast in a bronze foundry in Europe and stand on a high-quality solid granite base. These gifts can be personalised for your clients with an engraving on a plaque, which is placed on the front of the granite base. The plaque can carry your own unique business message and your organisation’s logo or branding. Overall, the sculptures are rather heavy, having a reassuringly expensive weight to them. Each sculpture is carefully presented in a handmade presentation box. 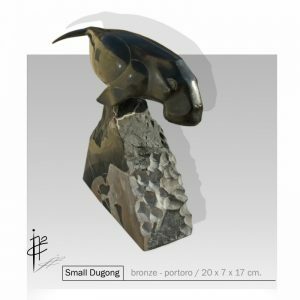 Please note that the sculptures are mostly made to order meaning that once your order is placed, up to 6 weeks may be required until final completion and delivery.